Old dusty piano in the music room in the sports hall in the pyramid. 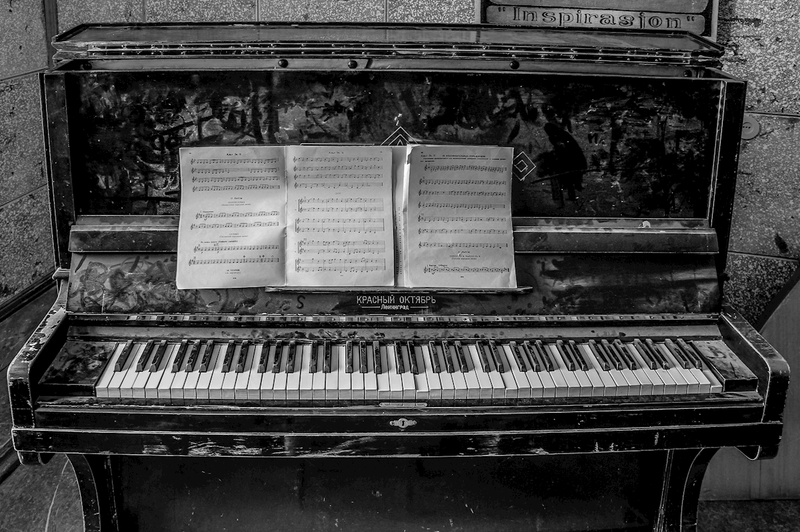 It is clear that the piano has been untouched since the evacuation of the city. The picture was taken May 2013.